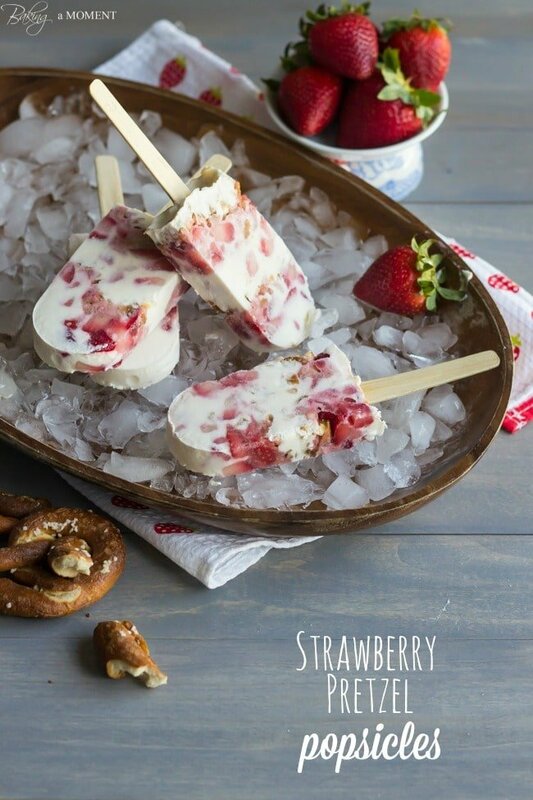 Whip up these Strawberry Pretzel Popsicles in no time flat! If you like Pretzels and Ice Cream, then you’ll LOVE the way the Creamy Greek Yogurt complements the Summery Berries and Crunchy Pretzels. It’s a Sweet and Salty, Refreshing, No-Bake Treat for Summer. Don’t forget to scroll all the way to the bottom of the post, for a fabulous giveaway from Chobani Greek Yogurt! Promise me you won’t think I’m weird, or like a big food dummy, but honestly? I never even heard of that Strawberry Pretzel Salad thing until like a year or two ago. I do not know how I made it through (ahem) thirty-mumble-mumble years without this ever crossing my radar. Especially considering food is my life. For reals. Like, sometimes I feel like it’s all I think about. And, when I first started seeing it on Pinterest and stuff I thought it sounded kinda gross. I mean, sweet cream cheese and strawberries, yes. But pretzels? Not so sure. So I’m fiddling around with this idea to do a strawberry yogurt popsicles thing, and I knew it needed a little something for crunch. At first I was thinking shortbread cookies (which would probably also be pretty rockin’), but then I spotted the pretzels in my cupboard and decided to just go for it! I’m so glad I did, because, dude. I should never have doubted Strawberry Pretzel Salad. Strawberry Pretzel Salad was right all along. If you like pretzels + ice cream, you will love this sweet/salty/creamy frozen treat. It’s just so refreshing, and those little crunchy bits make it so satisfying! You can literally whip these up in 10 minutes flat. Mix some honey and vanilla extract into your Greek yogurt, chop up some fresh strawberries and toss them in a little jam, and crunch up some hard pretzels. Layer it into your popsicle molds and freeze! It’s just that simple, y’all. 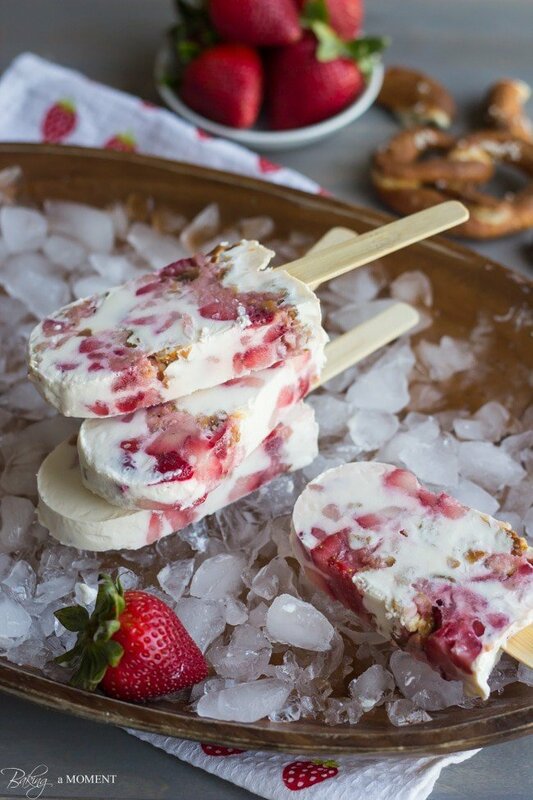 Whip up these Strawberry Pretzel Popsicles in no time flat! If you like Pretzels and Ice Cream, then you'll LOVE the way the Creamy Greek Yogurt complements the Summery Berries and Crunchy Pretzels. It's a Sweet and Salty, Refreshing, No-Bake Treat for Summer. Hull and chop the strawberries, and place them in a small bowl. Add the jam and toss to coat. Set aside. Mix the Greek yogurt together with the honey and vanilla. Place about a tablespoon of the yogurt mixture in the bottom of a popsicle mold. Layer with juicy strawberries and chopped pretzels. Repeat until the mold has been filled, ending with yogurt. Add in the sticks and freeze solid. I also really love how these ice pops aren’t drippy. Dontcha just hate giving your kids a pop, only to find their hands sticky and their clothing stained from all the drips?? Because the yogurt is so thick, it softens as it warms up, but doesn’t drip! Brilliant! 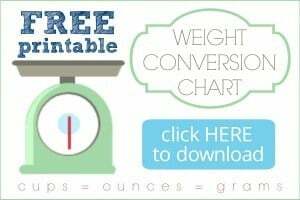 I hope you enjoy this fun summertime treat! And here’s the giveaway- use the PromoSimple widget below to enter. Good luck! The giveaway: Eligible to one (1) winner residing in one of the 48 contiguous states. Must be 18 years of age to enter giveaway. Starts 9 am 6/26/2014 (EST time) and ends 11:59 pm 7/4/2014 (EST time). To enter the giveaway, you must participate in at minimum, one of the listed entries in the Rafflecopter and an email address must be provided. Winner will be announced via email and must respond to the subject line: “Congratulations You’ve Won Chez CateyLou’s Chobani Giveaway” from chezcateylou@gmail.com within 24 hours of deliverance. Failure to respond will forfeit your chance in winning and a new winner will be chosen. Chobani will ship the product(s) directly to the winner. Please be advised items may appear different from the photo shown. Baking a Moment and its owner are not held responsible for missing/broken items received by the winner. Good luck and thank you for your entries. There will be more fun recipes as well as giveaways coming soon! See more at https://bakingamoment.com. Oh these are seriously so smart. And the flavor looks so incredible! I am in love with the texture! Hi, You mentioned 1 Tablespoon layer of the yogurt layer but how much of the other 2 layers? Also, if I were to measure out the pretzels in a measuring cup, how much? Hey Michele! You know, this is the kind of recipe you really can’t mess up. Just layer the ingredients in however you like. The quantities are all listed on the recipe card, just layer them into the molds until you’ve used everything all up. I used 4 hard pretzels, chopped. It was probably about a half a cup but you could use as much or as little as you like. I hope that helps! Those popsicles look so yummy! Thanks for sharing the recipe and for the opportunity to make some! I got it at the dollar store, lol! And ps I totally ate them for breakfast 😉 Thanks Connie! I have to agree! The pretzel thing never floated my boat either … I thought they would get all soggy 🙂 They look anything but soggy in these popsicles! The sweet and salty, cold and creamy, and pretty darn healthy too! You got it all (plus stunning presentation) Amazing job Allie! Thank you so much, Mary Frances! I guess if you used the thinner pretzels they might get soggy like you said, but I had those really hard ones you could almost break your tooth on, lol! They held up pretty well. So glad you enjoyed, sweetie! Allie, I TOTALLY didn’t know about that strawberry pretzel salad until recently (though now I really like it :)! I love that you used it as in inspiration for these gorgeous pops. I can’t wait to make popsicles at home someday! Oh good I’m glad I’m not the only one that somehow missed that one, lol! Hope it warms up soon for you so I can drool over the fabulous popsicle creations you’ll no doubt be posting! Dang Allie! 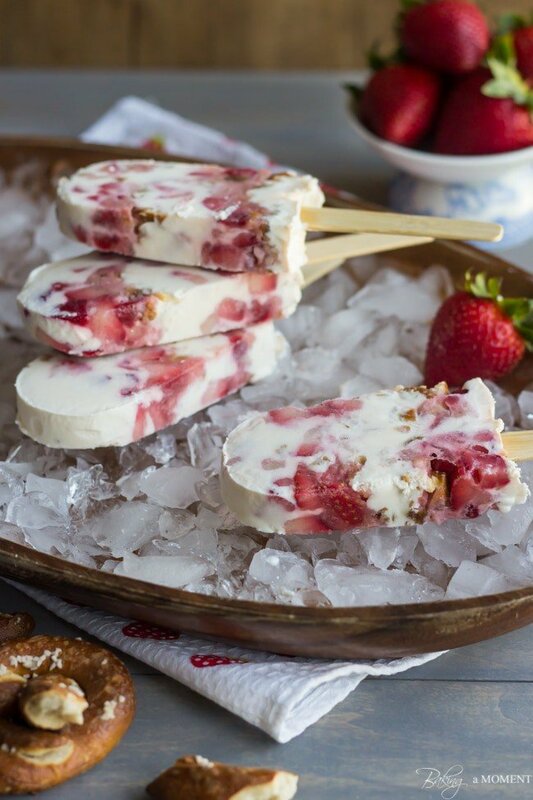 These are like the most gorgeous popsicles ever and I LOVE the play on the strawberry pretzel salad! Sweet, salty, perfection! Pinned! haha you’re not alone … I had never heard of it until I started food blogging! And seriously – I need to make some of these. Sweet and salty?? With strawberries and pretzels? Has my name written all over it! Lol ok good! I was beginning to think I must have been living under a rock or something. Thanks for the great comment, Ashley! These are amazing!! Love the flavors and the texture, perfect! What can I say, Matt, I’ve learned from the best 😉 Thanks for the inspiration! you are a genius!!! love these!!! 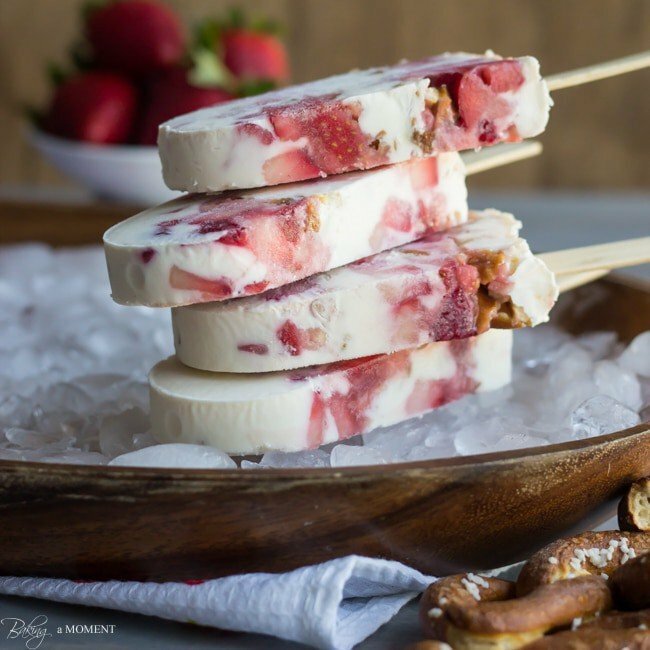 I love this combo of strawberries and pretzels in a popsicle! It sounds like such great sweet / salty / creamy combo! So perfect for summer! Adding pretzels is such a creative idea. It gives is so much texture! Thanks Mallory! And you’re right- texture and a little bit of salty contrast too. Thanks for the sweet comment! 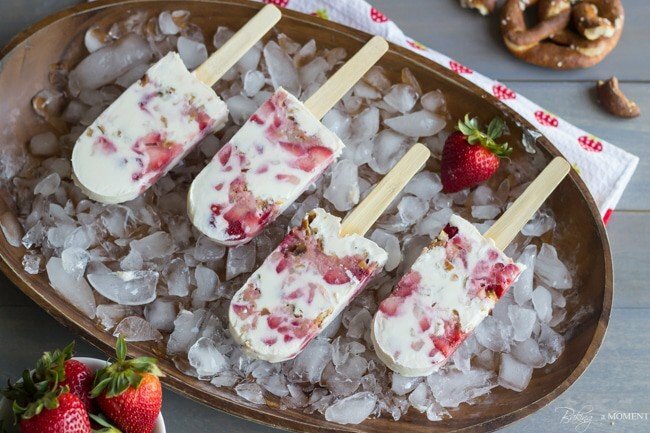 I love the crunchy bites amidst the creamy pops!! You are a genius. And I see nothing weird here. Sweet and salty is the best combo!! Oh good I’m so glad it wasn’t just me, lol! Maybe it’s a relatively new thing then. I sure loved the sweet and salty! I have never heard of this flavor combination but it sounds AWESOME! Can’t wat to try it! Thanks Meriem! I remember it was all over Pinterest like a year or so ago and I was like huh? Well it makes a pretty tasty popsicle that’s for sure! So fun! What a great combo here. Love strawberries and pretzels. Have a great weekend Allie! Love how simple and delicious this is! Perfect summer treat! Pinned! Thank you so much Michelle! I’m so happy you stopped by. And thanks for the pin too! The creamy, sweet, and salty medley you’ve created in these pops sounds amazing! I’m also sold on the fact that they’re non-drippy. You can’t beat that with messy little boys around! I know you feel me on that one girl! Thanks so much; I’m so happy you like them! I used regular vanilla yogurt, put 2 T jam since I had large strawberries and decided we liked it chilled rather than frozen. Delicious! Sounds delicious! Thanks for reading!